Rosebery House is a residential conversion comprising 30 apartments just minutes from the town centre of Epsom. Steeped in agricultural and equine history, this Surrey Market Town is famous for its acres of protected greenbelt land and boasts access to huge common land and downlands, including Epsom Downs, home of the Internationally renowned Epsom Race Course. This well-positioned development presents a number of one, two and three bedroom apartments. Each generous in size, these are designed with a modern open plan layout and come complete with contemporary kitchens and bathrooms. In addition to its carefully considered internal features, these homes benefit from a gated parking facility, secure cycle parking and balconies to all apartments. Just 9 minutes from Epsom train station, these apartments would suit commuters seeking a country living lifestyle, young families, first time buyers and investors. 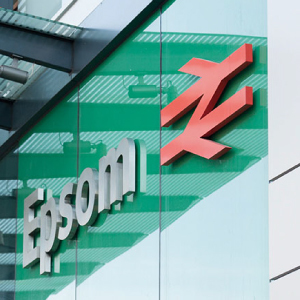 The transport network surrounding Epsom is extensive and offers quick and easy access to the UK’s major roadways, railway routes and airports. The nearby ancient market town of Kingston can be reached in thirty minutes by car. Aside from great shopping and entertainment facilities, there is an abundance of great restaurants and bars, some of which are located alongside the River Thames. A pedestrian path lines the way for walkers, while the many riverside pubs and eateries cater for those happy to watch the world go by. With Croydon just a short drive away, Epsom is set to benefit from its £1 billion investment programme. Extensive plans to improve and regenerate Croydon are now underway and this part of South West London is tipped for further property price growth. Epsom station is serviced by Southern Trains which run frequently into London Waterloo in 35 minutes and London Victoria in 35 minutes. Epsom lies 15 miles south-west of central London on the A24. The M25 (junction 9) is just a 12 minute drive, offering quick access to greater London and the M23. 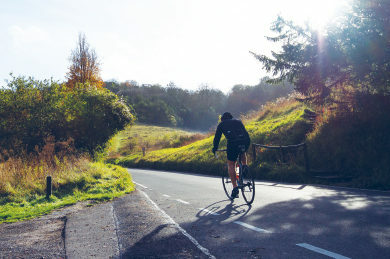 Extensive cycle routes for Epsom and Ewell are marked on the Surrey Cycle Guide 3 guide and provide an opportunity to explore and commute by bike. The two closest International airports are London Gatwick and London Heathrow. Each of these can be reached by car in around 35 minutes. Epsom and its neighbouring towns boast a long list of parks and vast green spaces to visit. Rosebery Park in Epsom is a favourite picnic spot for locals and its attractions include a children’s playground and large pond. 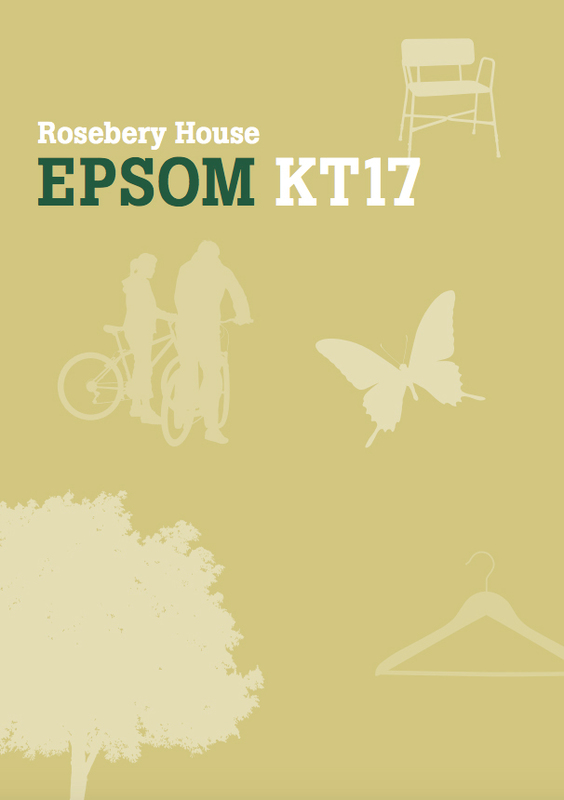 Epsom is surrounded with green spaces full of nature and wildlife to explore on foot or by bicycle. 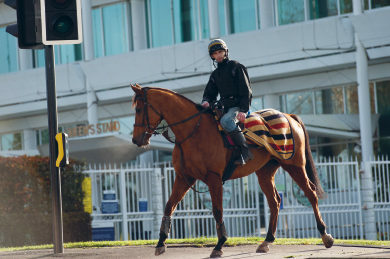 The Epsom and Walton Downlands, which are home to the racecourse, boasts 600 acres of unspoilt downlands and offers panoramic views of Surrey and on a clear day, a unique view of London. 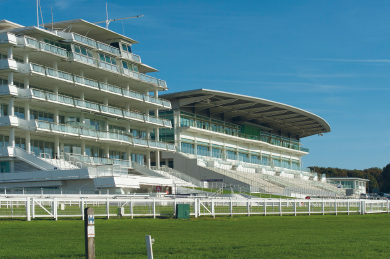 Possibly the most famous and historic local landmark is Epsom Racecourse, which hosts the annual and internationally renowned Epsom Derby. Aside from the racing programme, other notable events hosted here include concerts and the annual family fun day. 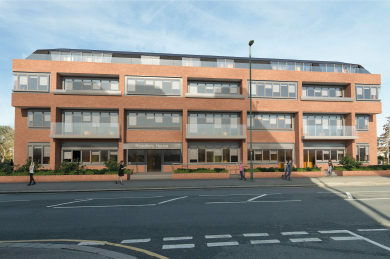 Plans for a £3.3 million regeneration investment are well underway for a scheme to promote economic growth in the area. The transport plans aim to make it easier for shoppers to get to the town centre, whilst providing an attractive business environment and the creation of jobs. Just half a mile away is The Ashley Centre. Open 7 days a week, this local shopping mall is home to over 50 independent and high street shops, including Waitrose, House of Fraser and Marks and Spencer. Epsom Sports Club has Tennis, Hockey, Football, Cricket and Croquet facilities each with clubs and local fixtures. A number of other sporting and swimming facilities lie within a short distance of Rosebery House. An eight screen cinema is also a five minute walk away. A diverse arts programme is curated for the Epsom Playhouse, which includes live music, comedy, dance and drama. An array of famous faces can be seen here regularly, as well as amateurs from within the local schools and community. A handful of delightful and well reviewed gastro pubs are located in and around Epsom. Each has its own charming features and a modern spin on the quintessentially British menu. Gated secure level access parking (optional extra).